Namibia is a country that stubbornly clings to your heart with a passion that cannot be described until you experience it in all its harsh and unforgiving splendour. We appreciate that you are the bold adventurer who wishes to experience the magic of our vast desert country at your own pace, but with the best possible back-up offered by our customized tour itineraries, reservations and a bagful of other helpful services not found under any camel-thorn tree! At DRIVE NAMIBIA CAR HIRE, we have a huge appreciation and respect for the Namibian natural environment and conservation efforts by both the Namibian Government and private institutions. We promote self-drive tours to the most striking natural areas in Namibia while keeping you informed about treading lightly in our unique desert environment. Our car hire vehicles comes standard with careful maintenance and 24/7 back-up service. Whether you choose to go lodge-hopping to a tremendous array of accommodation options or camping at any of our national parks or vast number of community or private camps, we have the standard car hire or fully-fitted camping vehicle to serve your specific needs. 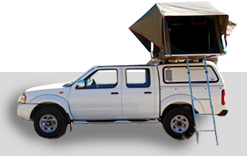 Being avid campers ourselves, we have personal experience of Namibia's network of excellently maintained gravel roads as well as many of the campsites. Our camping equipment is always packed and our car hire vehicles fuelled, ready for you to leave. Contact us today to arrange your well-earned holiday break to Namibia and start packing to experience it all! Get a feel for Namibia before you arrive.